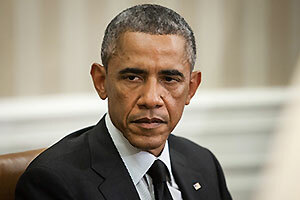 President Barack Obama requested the DOL resubmit its fiduciary proposal early last year. Well, your retirement investment advisor is about to become your fiduciary — whether you like it or not. The new standard applies to financial advisors of retirement accounts, including individual accounts, and mandates that they always act in the best of their own clients. While this may seem like a positive development, let's make one aspect of this new regulation explicitly clear: you, the average American, had no say in it whatsoever. Not in what the new standard entails, nor in how it affects you. And you'll most certainly be affected by it. After all, $7.4 trillion worth of investor assets make up the nation's Individual Retirement Accounts (IRAs). And defined investor/employer contribution plans hold about $6.8 trillion in assets, according to a statement presented to the U.S. House of Representative by Investment Company Institute last July. Chances are, you or someone you know has retirement money invested in asset management firms and brokerages – all businesses about to be seriously impacted by the president's new fiduciary rule. Just want to see what is (or will be) going on with our social security. I am 85 and don't want to lose it.